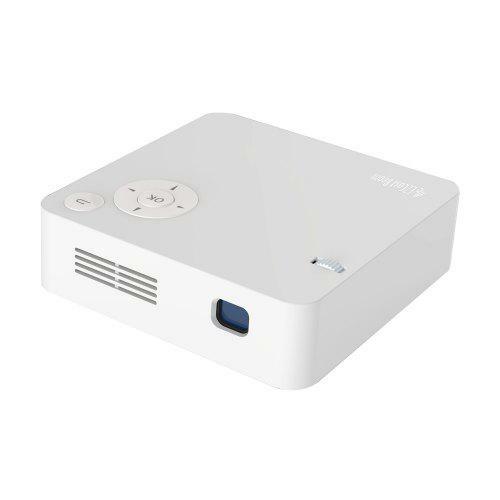 EZCast J2 DLP Projector Home Theater features 854 x 480P 150 ANSI Lumens supporting Linux system. With wired connection, it is easy to operate, just plug and play! EZCast J2 DLP Projector comes with WiFi wireless connection as well, easy to share with the screen. We are impressed wit its 150 ANSI lumen light machine, DLP display technology. Built-in large battery, long battery life. Built-in 3 x 3000mAh lithium batteries, battery life over 2 hours. Check price and more.